The opioid epidemic has reached tragic proportions. Yet it continues to take many new, and troubling turns. If there’s one lesson we’ve learned from this crisis, it has been the ability of the mounting abuse and misuse to evade our interventions. This history challenges us to deal more quickly and aggressively when new aspects of the addiction crisis emerge. 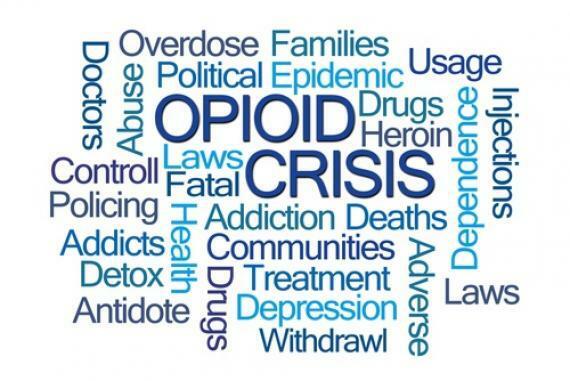 For example, we’re seeing a crisis that began largely with the misuse of prescription opioids evolve into an epidemic that’s increasingly being driven by an influx of street drugs like illicit fentanyl and heroin. We must be alert to these new patterns of abuse and misuse of different drugs. One such concern relates to the inappropriate use of loperamide – an FDA-approved drug to help control symptoms of diarrhea, including travelers’ diarrhea. Loperamide is sold under its over-the-counter (OTC) brand name Imodium A-D, as store brands and as a prescription drug. Loperamide is an opioid agonist, and it’s safe and effective at its approved doses. The drug acts locally, inside the gut, to treat the symptoms of diarrhea. But when loperamide is abused and taken at extremely high doses, some of it can cross the gut lining, giving users an opioid like “high.” We’re aware that those suffering from opioid addiction see loperamide as a potential alternative to manage opioid withdrawal symptoms or to achieve euphoric effects. But at these very high doses, it’s also dangerous. We’ve received reports of serious heart problems and deaths, particularly among people who intentionally misuse or abuse high doses. Sometimes people are using as much as 100 times the recommended dose. As with other new patterns of abuse and misuse related to the opioid crisis, the FDA acted with urgency to address the issues related to loperamide. We’ve issued a Drug Safety Communication and worked with sponsors to revise both prescription and OTC drug labeling to warn about serious heart problems associated with high doses of loperamide. We’re also encouraging changes to packaging of the OTC products to help deter abuse, such as the use of blister packs. And we’ve reached out to online sellers of these products to inform them of the public health risks and ask for their attention to the issue and their commitment to stop selling large quantities of the product. At the same time, we’re very mindful of balancing benefit and risk and the needs of patients in our mission to promote and protect public health. We recognize that there are important and legitimate uses of loperamide, including for patients suffering from chronic diarrhea in adults associated with inflammatory bowel disease (IBD), including Crohn’s disease. We need to take the additional steps I outlined to address the abuse and misuse of loperamide. But preserving appropriate access to this treatment for patients who need it is something we take seriously. So we’re seeking input from the patient community on how best to strike this careful balance. In order to ensure that we don’t create access issues for such patients, we’re proceeding in a step-wise, deliberative fashion to ensure that the actions we take in relation to OTC loperamide use are reasonable and scientifically sound, and that these actions are necessary to achieve safe use of the drug and to address the issues of abuse and misuse. It’s also the case that loperamide is available by prescription for patients who require maintenance therapy for chronic disease and are under the care of a health care provider. We’ve also heard concerns that the changes to packaging could drive up the price. Affordability of medicines is one of my key concerns. We’re carefully evaluating the impact that our actions could have on the cost of this medicine. Based on our analysis to date, we don’t expect that the steps we’re taking will have much, if any, impact on cost, given that loperamide is available as a generic drug and manufactured by a range of competitors. OTC loperamide is currently approved in packages of 8 to 200 tablets, which are often sold in multipacks of more than 1,000 tablets at a time. This is more than a three-year supply if the drug is taken according to the product label. Evidence suggests that reasonable packaging limitations and unit-of-dose packaging may reduce medication overdose and death. Therefore, as we announced in January, the FDA has sent letters to the OTC brand manufacturers requesting that they implement packaging changes. We’re currently evaluating the maximal package size appropriate for OTC use, and plan to take into account data manufacturers provide on consumer use and needs; current OTC labeling and indications; the dose-response relationship of loperamide to cardiac events and known adverse event data; and importantly, the feedback of patients who rely on this medicine. The agency is discussing implementation timeframes to ensure that manufacturers can continue to meet consumer need while package reconfiguration is taking place. I also recently wrote to online distributors asking them to take two voluntary steps to help reduce the risks of loperamide abuse and misuse. First, I asked them not to sell bundled amounts of loperamide that contain more than one package of the drug. And second, I asked them to ensure that consumers can easily access and read the product labeling and warnings for drugs sold on shelves or on websites before purchase. We appreciate the responsiveness from both the manufacturing and retail industry. Several companies are already committing to implement these packaging changes or purchasing safeguards. For example, Walmart has already taken a number of concrete steps to address the FDA’s request. These include ensuring that all loperamide products sold by Walmart/Sam’s Club have the product labeling clearly visible on the website; limiting purchase of 200 count tablet products in stores or online to a single bottle; and, moving the sale of bundled products at Sam’s Club behind the pharmacy counter and limiting sale to a single package. Walmart is also working to remove all loperamide “marketplace products” (i.e. products sold on their website by a third-party vendor) from their website. These vendors appear to be the primary source of bundled products and products that do not display product labeling on the Walmart site. Amazon also has already taken some steps to address our recommendations and eBay has stated publicly that they also intend to follow our recommendations. We continue to work with other retailers to encourage them to take steps to help prevent abuse and misuse of loperamide. All of us must do our part to address the public health challenges posed by the opioid addiction crisis. The FDA will continue to assess the loperamide safety issue, and monitor adverse events, scientific literature, and data submitted by the public. We want to ensure that the steps we’re taking improve the safety of loperamide without limiting OTC access for consumers using the product according to labeling. The FDA’s actions to address drug misuse and abuse must be informed by an understanding of the complex social environment in which changing patterns of drug consumption occur. The agency is committed to addressing emerging issues of abuse and misuse while taking steps to safeguard the needs of patients who depend on these medicines.